One of the few truly compact pickup trucks left on the market, the 2011 GMC Canyon returns for another model year with few changes and with an uncertain fate, since its Louisiana factory is one identified by GM for closure. 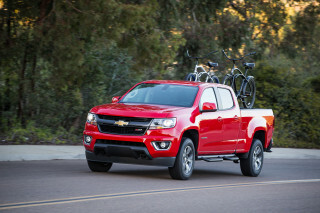 The Colorado is a mechanical cousin to the GMC Canyon--and both trucks, like the Ford Ranger, are dated designs with fewer safety features and body style options than newer mid-size trucks like the Nissan Frontier and Toyota Tacoma. 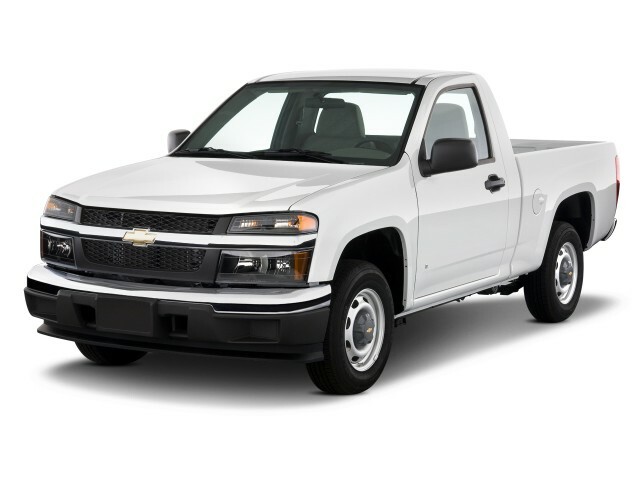 The Colorado comes in three distinct body styles: there's a regular-cab version, an Extended Cab with small rear-hinged doors, and a Crew Cab with four full-size, front-hinged doors. 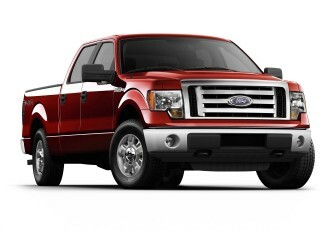 It's not an unattractive truck, it simply lacks the serious presence you'd get from a true full-sizer. Inside, though, the Colorado is a letdown. Cheap, hard plastic dominates every surface and flat bench seats are standard. Some versions do get a unique bucket seat that fits quite nicely, though. Three engines are offered in the Colorado. 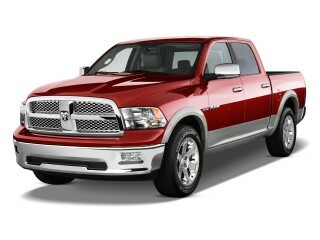 The base engine is a 185-horsepower, 2.9-liter four-cylinder that's not very frugal or pleasant to drive. The 242-hp, 3.7-liter five-cylinder might actually be worse, as it's meant to be an upgrade, but sounds just as cantankerous. The engine you'll really want is the 300-hp V-8 that recently joined the lineup. 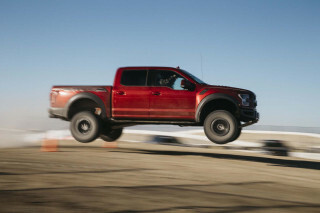 It'll drink fuel, but it will scoot the Colorado to 60 mph in less than seven seconds while boosting towing capacity to 6000 pounds. 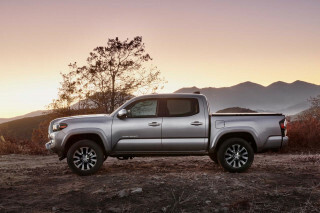 The rear-drive Colorado offers full-time four-wheel drive, and automatic transmissions are more common than the five-speed manual that comes standard on more basic versions. 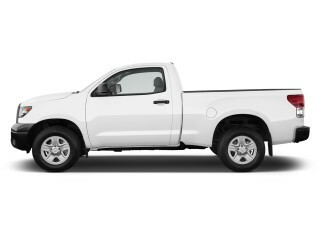 Most Colorado pickups have an abbreviated cargo bed that's five feet, one inch long. The Crew Cab bed is extended to six feet long, but it still won't carry a 4x8 sheet of plywood, limiting its utility. The four-door Crew Cab also has uncomfortable rear seats with a nearly vertical backrest. 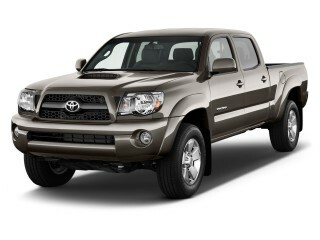 The Colorado now has standard anti-lock brakes and stability control, but crash test scores aren't that impressive. 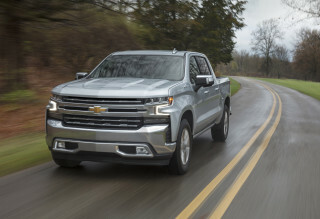 It gets mostly four-star ratings from the federal government (except for some higher five-star ratings on the Crew Cab), matched with lackluster side and rear test scores from the Insurance Institute for Highway Safety (IIHS). Standard equipment is decent with air conditioning, a tilt steering wheel, cruise control, and folding exterior mirrors all included. Options include traction control, XM Satellite Radio, fog lamps, leather seats, a sunroof, a six-CD changer, and a sliding rear window. For the 2011 model year, the newest version of OnStar is standard, as are newly reshaped headrests. 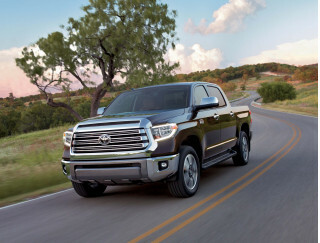 Changes to the Colorado for 2011 include OnStar 9.0, the return of Aqua Blue Metallic to the exterior color palette and new front-seat headrests.